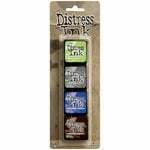 Add a fun touch to your papercrafting projects with the One Distress Ink Pads Mini Kit by Tim Holtz for Ranger Ink. 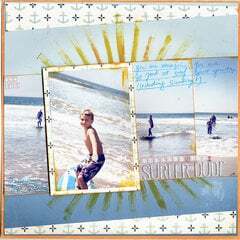 These inks are non-toxic, water-based, fade resistant, acid-free, and measure 1.25" x 1.25". The re-inkers are sold separately and are available in .5 oz glass bottles with eye drop applicators. 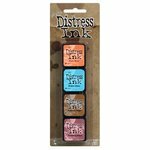 Included in the package are four mini Distress Ink Pads (Mustard Seed, Peacock Flowers, Spiced Marmalade, and Picked Raspberry). I simply love these mini distress ink pads. 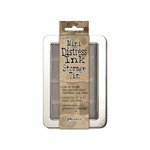 As a crafter wasting space is not for me so when I saw these mini ink pads I new I had to try them... First, they stack... how cool is that !! Then the fact they are only 1 1/4" sq. is perfect and they take up so little space, it's amazing no one else thought of this !! And the size is ideal for holding when you need to ink something... no fumbling... no more getting ink all over the place. This is the size for me from now on !! 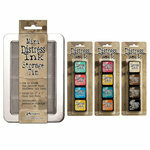 Wonderful deal to enable a crafter to accumulate more Distress Inks. At least that what it was for me. 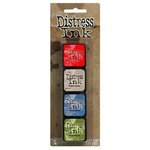 Love Distress Inks. 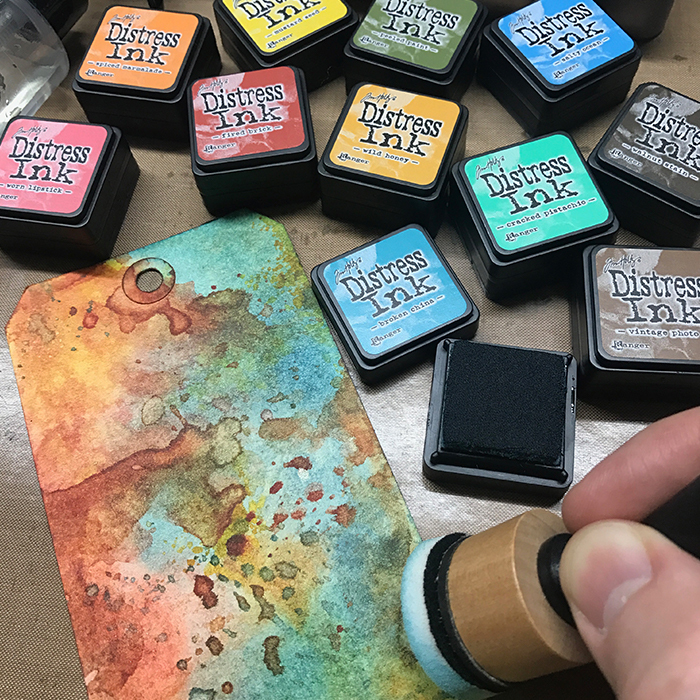 Love the mini distress inks! I use these for anything I would use the standard sized ink pads for. They're great for edging paper, too. 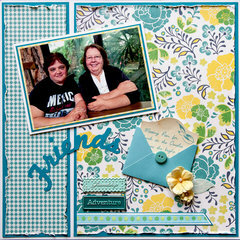 The base conveniently holds one of the foam application pads making it easy to keep one dedicated for each color. 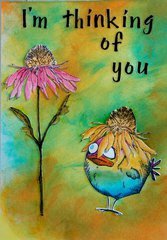 I have always loved these inks and now that I have found them in a little sizes for the hard to get at areas, I am very happy. The ink was deleivered in great time and was in excellent condition. After having purchased all 64 mini ink cubes, which was a considerable investment, I was disappointed that NOT a single cube produced a complete & solid one inch square of color! 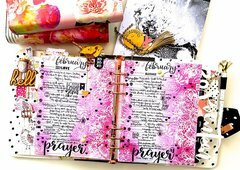 I contacted BOTH Tim Holtz and Ranger Customer Service and provided them with photos of every color stamped (press & twist) on solid Neenah 110# cardstock. 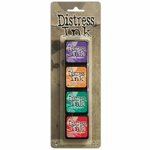 It was suggested that I try the Distress Ink Refresher, which I did, thus wasting another $10.00. This did absolutely NOTHING to IMPROVE the quality of the ink cubes! So, rather than admitting that I had a defective batch, customer service boldly insulted me stating that I was NOT using their products correctly! Needless to say, I found their customer service to be rude, unprofessional and disrespectful. Nothing like a company that stands behind their product regardless of insulting a PAYING customer! ! ! Looking forward to using these. Nice combination of colours in this set.